Want to make a really impressive dessert? One that adds a classy touch to an already excellent meal? Well this one is just for you. Most times, guests tell me that they are saving some space (in their tummies) for the dessert to follow, which immediately piles up the pressure! After a sumptuous meal, just before the sluggishness (and the wine) begins to set in, the dessert makes that exciting entry to the dining table. This is it. Make or break moment. If this goes well, then all ends well. If not, then what people will remember is the lousy dessert, not the fine dinner they had before. So you cannot afford to mess this up. Ok, not too much pressure there! There are a variety of Cheesecakes to choose from. 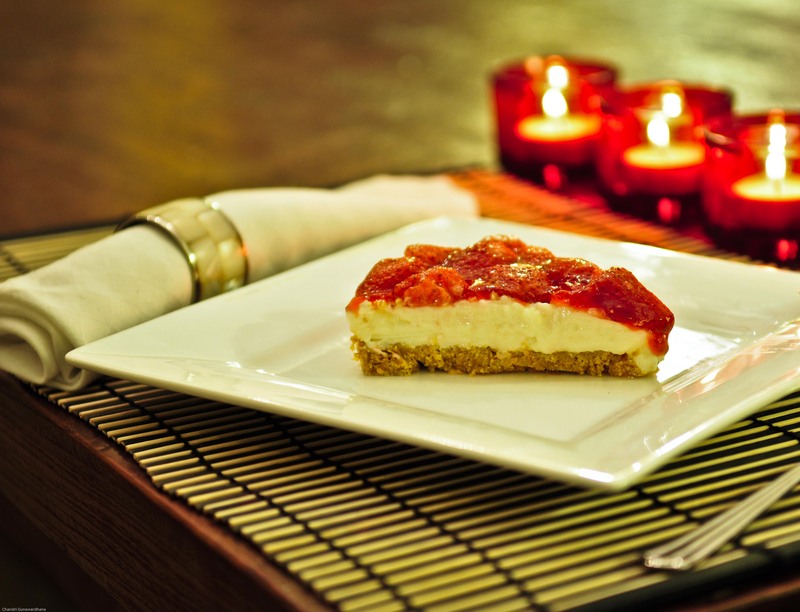 You can opt for baked cheesecakes or egg-less chilled cheesecakes. Most cheesecakes have 3 layers, except a few that have only 2 layers:, i.e., the biscuit crumb base and the creamy cheese filling which could include cream cheese, curd cheese, or ricotta.The topping is usually fruit such as berries, peaches, mango, mandarins, or chocolate shavings, cream etc. Many varieties of this yummy dessert are found all over the World and some of them are made with local fruit and flavours. 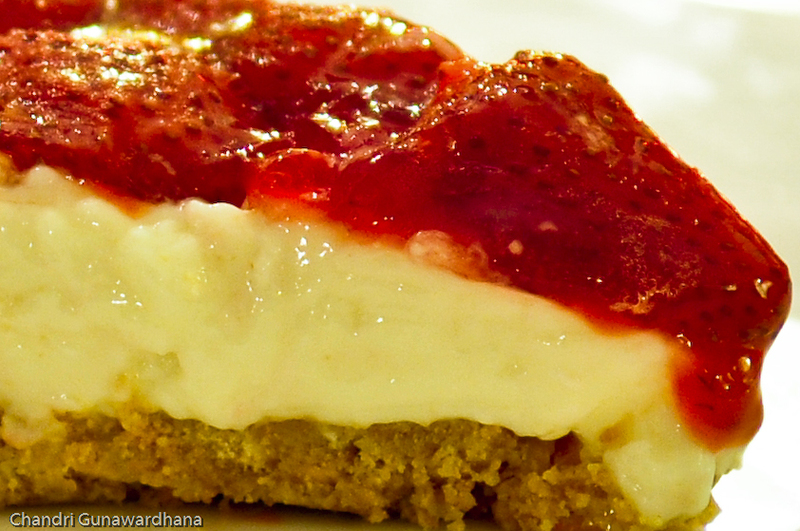 My all time favourite cheesecakes are the strawberry and New York. If made neatly in a spring foam baking tin, it will give the appearance that it has been bought from the deli. Many a guest has coyly inquired whether it was purchased and I relish the opportunity to inform them that in fact it was made less than an hour before they arrived. They are absolutely surprised to learn how easy it is to make such a great tasting (and looking) cheesecake. So the next time you want to impress your family and friends with your dessert making skills, opt for a cheesecake. ← A sure way to get your kids to eat Spinach!